How to File a Personal Injury Lawsuit in Wisconsin | Hupy and Abraham, S.C.
What is the process for filing a personal injury case in Wisconsin? 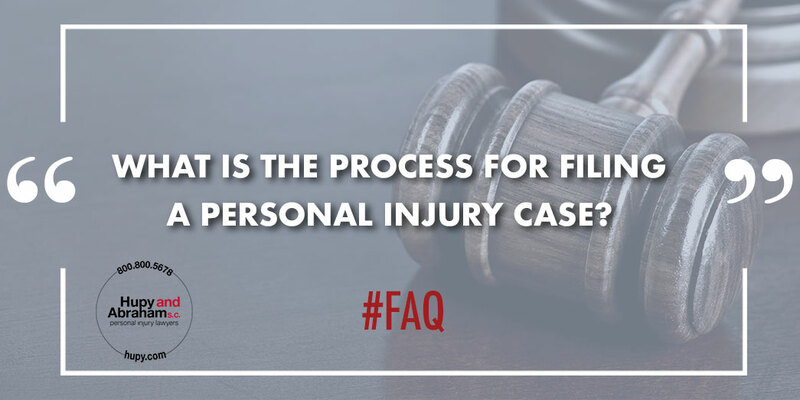 Your personal injury case officially begins when you file a complaint in state court. While you or your lawyer may engage in settlement negotiations prior to filing a complaint in court, those negotiations have no bearing on the statute of limitations and do not mean that you have officially begun a personal injury case. A summons. The summons should contain basic information such as the title of the case, the court in which the action is being brought, the description of the case classification type, addresses of the plaintiff and defendant, and a direction to the defendant to file an answer. A standard form can be found in the Wisconsin State Statutes Section 801.095. A complaint. This document explains why you are suing the defendant and what you would like the court to do. In other words, in a personal injury action this pleading would explain the legal reason(s) why the defendant is liable for your injuries and what damages you are seeking. Filing fees. The current fees are available on the state court website, but are subject to change. The summons and complaint must comply with all rules of the court and the defendant must be served with authenticated copies of these documents within 90 days of the filing. Your complaint explains your cause of action—or the legal reason why the court should allow you to recover damages—and it explains the damages that you are seeking. Therefore, it is important to get it right. Our personal injury lawyers have a lot of experience filing complaints and can make sure that all of your rights are protecting when you begin your case, throughout your lawsuit, and when you make your recovery. To find out more about how a personal injury lawsuit works, please contact us via this website or by phone at any time.